So, this is Christmas! Family, celebration, love, peace, joy, presents, apps... "Wait a minute... apps?! Since when are apps on the list of the cool things that you can do on Christmas?" That's what tech-impaired Rudolph would probably say, if he was reading PhoneArena, but we know that there's much Christmas joy to be found within the vast Android Market. Does it seem like everyone around you is filled with that magical Christmas spirit, and you're the only one who somehow can't feel it yet? Don't worry, our friend, it's all part of the game. 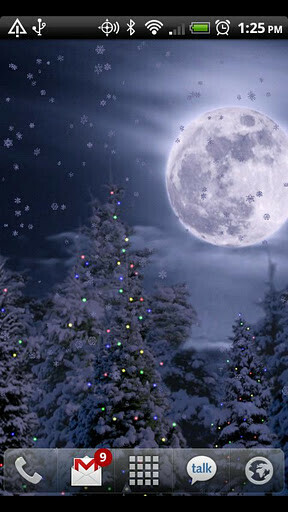 Luckily though, we discovered a very quick and efficient way of getting you into the right mood for Christmas. 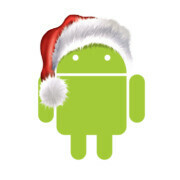 OK, green robot, put your Christmas hat on and lead the way to those APKs! Alright, before we start seriously with this, we should remember that Android allows us to greatly personalize our device, so we should take advantage of those options and... install a Christmas-themed Live Wallpaper, of course! 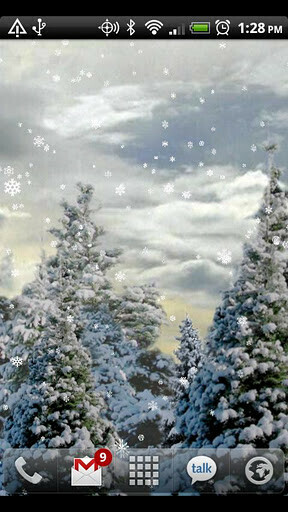 For those of us who love snow, Snowfall Live Wallpaper will be the perfect choice, coming with all kinds of options to let you tweak things such as colors, Christmas lights, snow appearance, etc. But if snowflakes aren't your cup of tea, then we guess the more hospitable atmosphere of the Christmas HD Live Wallpaper will better suit you. Your Android device will quickly become a nicely-decorated 3D house, with a beautiful Christmas tree, a crackling fireplace, Christmas stockings and other objects typical to the holiday. 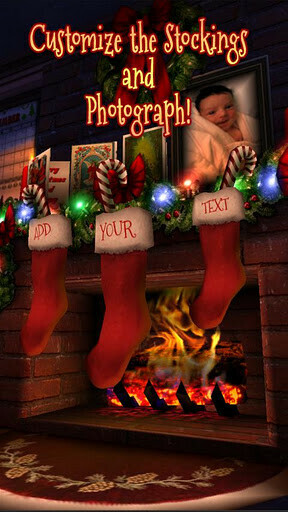 You can even personalize this thing to show your image on the portrait above the fireplace, and have your names written on those stockings. Pretty neat and sweet! Just don't expect to find any real presents there. You know Talking Santa, right? Well, the funny old man is back now, and he's not alone. 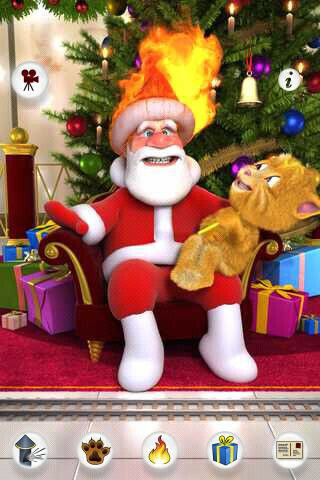 Ginger, Talking Tom's "mischievous little nephew", is here to meet him. As you may guess, putting these two characters in the same app has led to some quite hilarious situations. That Ginger guy will do anything to tease Santa, including pulling his beard off, kicking and tickling him, but that's not all. You'll be able to do all kinds of other interactions that you'd expect from a "Talking..." app. What better way of getting in the mood for Christmas than having some fun with Santa? 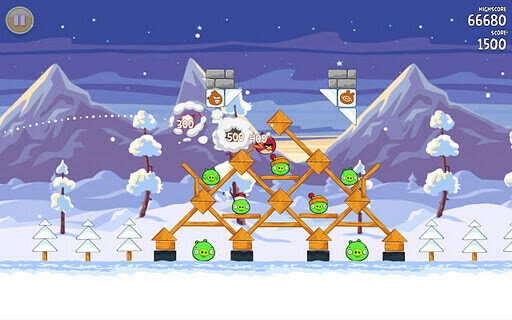 But if the gamer in you just can't be tamed, maybe it's time to give Angry Birds Seasons a try! Your help will be much appreciated, as those nasty pigs are secretly trying to ruin the holiday! Ready for some Christmas-themed bird-launching action? Then just hit the Market and get your free copy of the game! Few activities can be more entertaining than reading Christmas stories. 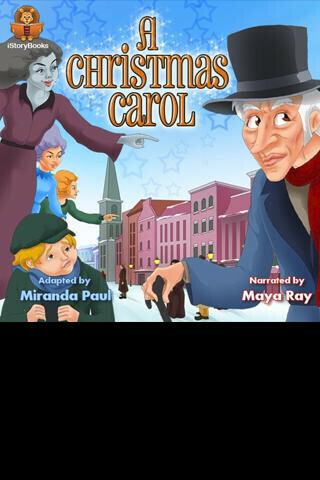 This app includes stories like "A Christmas Carol". 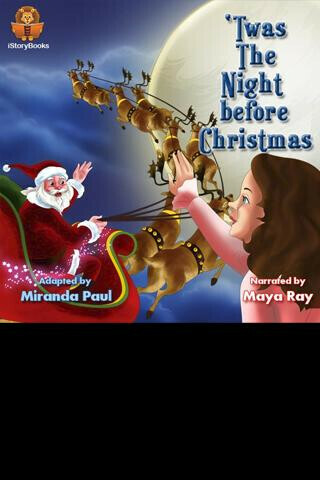 "The Elves and the Shoemaker", "The Nutcracker" and "'Twas the Night Before Christmas". The coolest thing is that it supports a "Read to me" feature, which makes it perfect for little kids. Don't forget A Charlie Brown Christmas is the free Amazon app today. Works great on the Kindle Fire. snowfall is by far the best of those.